We love shopping in Florence—but our favorite stores aren’t the chains and high-end designers of the center. They’re the artisans and independent workshops in the Oltrarno, just over the Arno river from the heart of Florence. Florence’s artisanal crafts, which range from leather to ceramics, are as much a part of the city’s tradition as, say, Renaissance art. And even if you don’t have the room in your luggage for a single extra purchase, these artisans’ shops are worth checking out; the goods are so high-quality, you’ll feel like you’re in a (free!) museum or gallery. Not to mention you can often watch the artisan actually handcrafting the item, a fascinating process to observe even if you don’t buy a single thing. (Although it can be hard not to!). The best quarter for finding Florentine artisans is, hands-down, the Oltrarno. Literally meaning “over the Arno,” this medieval neighborhood is lovely, local—and just off-the-beaten-path enough to be full of hidden gems. (Don’t miss our post on reasons to visit Florence’s Oltrarno, and consider exploring the Oltrarno’s hidden gems with us!). Trying to figure out where to find the best artisanal shopping in Florence? Here are four of our favorite Florence artisans to help you get started! Monaco Metropolitana doesn’t offer your typical purse-shopping experience. Instead, you’re invited to look around, get a feel for the craft of leather-making, and—if you want—help design an item the artisans make for you in the workshop. True leather-lovers even can study here, learning the techniques that have been passed down over the years. 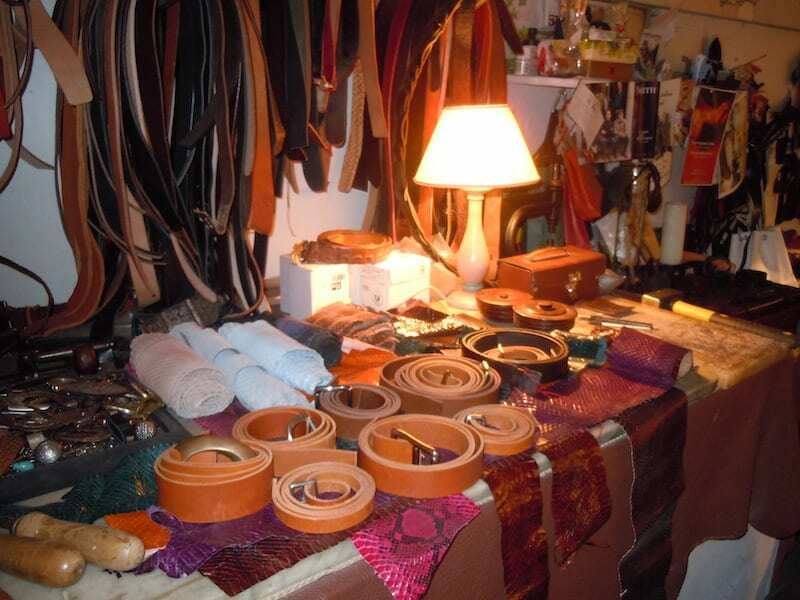 The class, which culminates in creating your very own leather purse or shoes. And since the workshop allows only two students per class, the near-private instruction means you’ll leave with a true understanding of the process. Forget the trinkets in the souvenir shops. 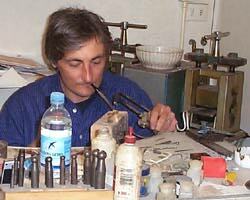 Instead, meet jeweler and artisan Ugo Bellini to design your own one-of-a-kind pieces. Bellini uses traditional methods, but he keeps tabs on new jewelry trends to create modern, beautiful designs. 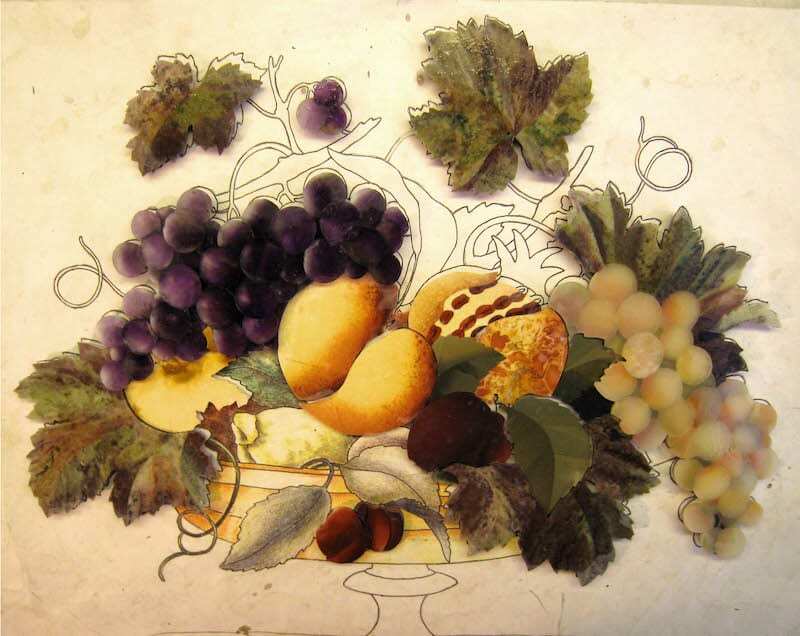 Perfecting the art of Florence’s pietre dure, or inlaid hard stones, the founder of Pitti Mosaici creates handcrafted mosaics in the Florentine tradition. Tables, panels and floors are opulent and intricate, using semi-precious stones. Make an appointment to visit their historic workshop, where you can watch the even most detailed mosaics come together as smoothly as a painting. 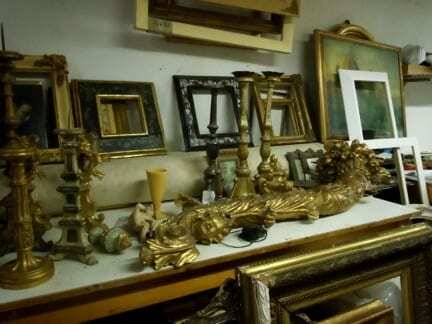 The Martelli family runs this shop, which restores both gilded and painted works of art. Though you’re not likely to need a gilded frame restored, you can watch—and learn—the craft first-hand. The Martelli, whose works are featured in the Museo Civico di Siena, Palazzo Pitti and the Uffizi Gallery, also offer personalized courses for beginners or professionals interested in studying the art of restoration. Do you have any favorite artisans in Florence? Share them with us in the comments! I’m looking forward to spending time in the Oltrarno when I stop off in Florence next year – though I don’t know how much shopping I’ll be able to do, I always look for artisans like these when I do have a little cash to burn. It’s always been a little dream of mine to have a pair of boots or jacket custom made in Florence. Scarpelli Mosaici Le Pietre nell’Arte 50122 Firenze-Via Ricasoli, 59r. Don’t miss this one! The mosaic paintings made from these stones cut in such precision are wonderful!